Finance your dream home in Greater Fort Hood | Killeen | Temple Imagine buying your dream home. Connect with a lender to help you make it happen. The i35 group is associated with the most reputable trained and certified loan originators. These lenders specialize in financing homes in the Greater Fort Hood | Killeen | Temple real estate market area. We can connect you with these individuals so that all of your questions about credit, mortgages, closing costs and payments are answered. We are prepared to find the right loan program with competitive rates and low down payments for you. Please do not submit any confidential information. This will be shared with both Aligned Mortgage and The i35 Group | Keller Williams Realty. 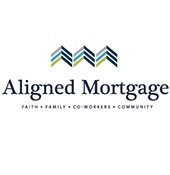 Let me know how I can assist you with your Greater Fort Hood | Killeen | Temple mortgage needs. I am here to help!